A designer has admitted a health and safety failing after a seven-month-old baby “choked to death” in a cot bed. Oscar Abbey was found by his parents, caught in the side of his bed at their home in York on 3 November 2016. 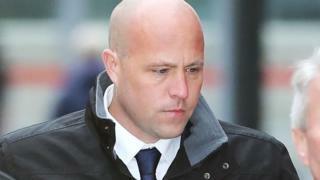 He had got his head stuck while trying to crawl through a gap in the cot sold by Craig Williams’s Playtime Beds Ltd.
Williams, 37, from Rotherham, South Yorkshire, pleaded guilty at Leeds Crown Court to failing to discharge the employer’s general duty. Charlie and Shannon Abbey had paid £655 including delivery costs for the cot bed, which featured a slide, from the firm owned by Williams. Jurors heard the couple were told by the designer the bed was suitable for children aged six or seven months and their son first started using it on 28 October 2016. On the night of Oscar’s death, prosecutor John Elvidge QC, had told the court: “He wriggled his body through the holes at the front of his cot bed. “His head was too big to fit through. Mr Abbey, 24, said in his statement he found his son trapped face-down in the front of the cot. Mrs Abbey also described how she woke up and heard her husband “shouting and screaming: ‘He’s not breathing’.”. Sheffield-based company Playtime Beds Ltd made bespoke MDF beds in various shapes. As Williams had admitted a charge under the Health and Safety at Work Act the jury was asked to return a not guilty verdict to gross negligence manslaughter. Williams, of Park View Road, Kimberworth, also pleaded guilty to fraud. He is due to be sentenced on Friday alongside employee Joseph Bruce, 30, of Kimberworth Park Road, Rotherham, who also admitted the same charge.